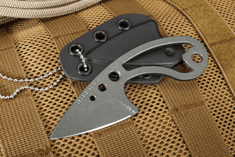 Neck Knives - Small Fixed Blades for concealed carry. 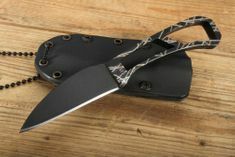 For high quality, American made neck knives Fine Art carries the terrific necklace knives by such brands as Chris Reeve, Winkler and Spartan. 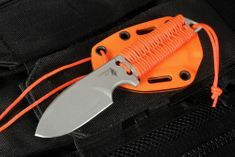 All the handle designs allow for threading a cord, leather thong, braided paracord or beaded or ball chain through them so you can suspend the knives around your neck or mount them to a tactical vest rig. 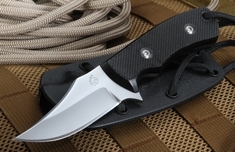 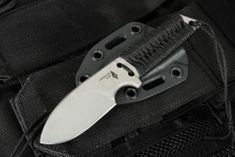 Winkler made its Knives for elite military units, including Special Operations Forces. 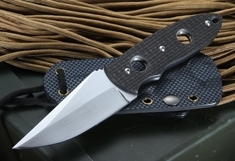 Each knife we sell is hand selected for quality, function and to be best-in-class. 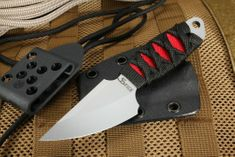 Each knife shares a common feature, to be ready in a moments notice like only a small fixed blade can me. 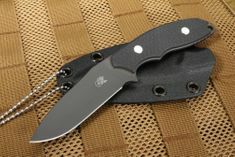 The Chris Reeve Knives and Spartan fixed blades are also designed to allow for quick access if you need them for self-defense. 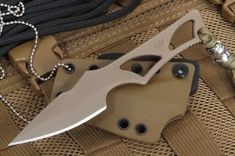 The Spartan made its Blades CQB for the U.S. Army Special Forces. 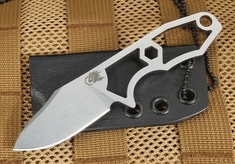 At the top of the handle is a large ring designed for easy removal. 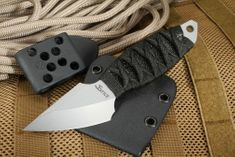 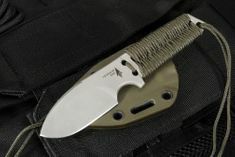 All of them come with a Kydex sheath -t hey are also American made.